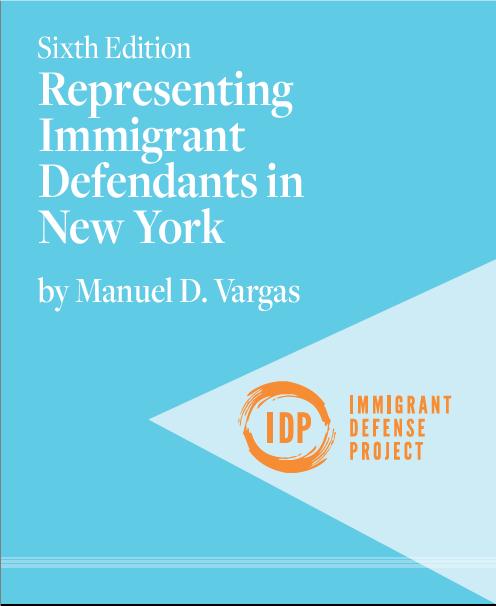 Representing Immigrant Defendants in New York provides information about the foundations of crim-imm and strategies to avoid adverse immigration consequences in either criminal or immigration proceedings. Are you currently a member of NYSDA? If you select 'Yes', IDP may request a copy of your IRS determination letter. 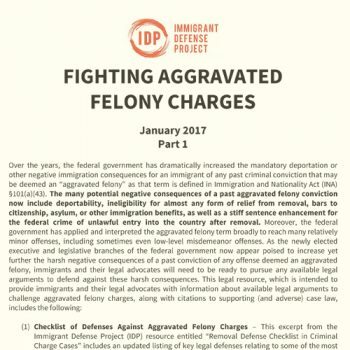 IDP offers free advice about the immigration consequences of convictions to assigned attorneys. Read more about the Padilla Support Center. Requests for refunds will be charged a 5% fee per item. Refunds can only be processed before items ship. Once items have been shipped, all sales are final. immigrants facing potential immigration consequences of a New York criminal case. This sixth edition has been updated through June 2017. 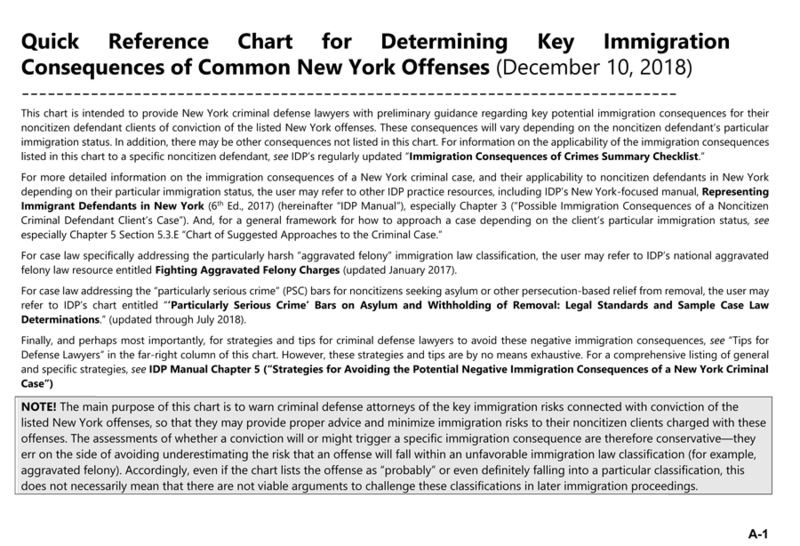 Updated versions of some of the appendices that were included in prior editions, including our Quick Reference Chart for Determining Key Immigration Consequences of Common New York, are available here. Purchase price includes shipping within the USA.